The style is Fear Factory inspired modern metal which, you could rightly argue, is in no way uncommon these days. But make no mistake; Sybreed definitely have a sound of their own, much of this because of vocalist Benjamin’s melancholy yet powerful, insisting clean voice. Well, it is all very fine except one thing: seen as a whole ‘The Pulse of Awakening’ becomes monotonous. If you listen to all tracks (save the last desert walk track From Zero to Nothing) out of the context, you’ll go ‘Hey! This is cool!’ Beautiful tracks, powerful, cool. 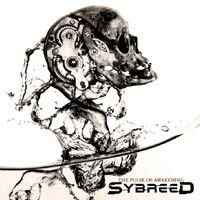 Listening to the album as whole, though, you are left with the feeling that Sybreed exhausts the concept to a point where it gets monotonous. It’s simply too much of a good thing. Go have a listen and prove me wrong, but that’s where ‘The Pulse of Awakening’ leaves me.